Vietnamese President Nguyen Minh Triet sent a message of condolences to U.S. President George W. Bush Wednesday, expressing his profound sorrow and offered his sympathy and condolences to the latter and the families of victims in Virginia Tech tragic incident. "On behalf of the People and the State of Vietnam, I would like express my deepest sympathy and condolences to you, Mr President and to the bereaved families and Virginia Tech." said President Triet. Senior US Government officials and legislators have pledged to support and facilitate Viet Nam-US relations in many fields, said Vietnamese Deputy Prime Minister Pham Gia Khiem. 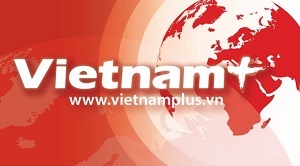 Deputy PM Khiem, who is also Minister of Foreign Affairs, made the remarks during an exclusive interview for the Viet Nam News Agency about the results of his US visit on Mar. 10-17. Question: Would you tell us about the importance of your visit to the US and what you wanted to achieve there? Many US businesses wish to access Viet Nam's emerging market in a stronger and faster manner, Californian politicians, investors and businessmen said while meeting with Deputy PM and Foreign Minister Pham Gia Khiem and his entourage during their second day in the US. The hosts included California State Senator Leland Yee, Congressman Fabien Nunez, Speaker of the California State Assembly, the leadership of the Oakland port, the Executive Boards of Bantry Bay Ventures LLC, Bamney Investment, the East West Bank, and others. Foreign Minister Pham Gia Khiem has held talks with his US counterpart Condoleezza Rice, focusing on bilateral issues and preparations for the upcoming US visit by the Vietnamese President. The talks took place on Mar. 15 at the US State Department headquarters in Washington D.C. , one of the scheduled destinations on the agenda for the official visit by Khiem, who is also Deputy Prime Minister. Washington — Deputy Prime Minister and Foreign Minister Pham Gia Khiem arrived in San Francisco, California on Saturday, the first stop in an eight-day official visit to the United States. On his first day, the deputy PM held working sessions with heads of several universities and colleges in California, the mayor of Berkeley and the managing director of the Bay Area World Trade Centre. He also met with Thomas Wu, CEO of United Commercial Bank, overseas Vietnamese living in the state and staff from the General Consulate of Viet Nam in San Francisco. US President George W. Bush on December 29 signed a proclamation formally extending full US-Vietnam trade ties and cleared the way for Vietnam to receive US military aid, key steps in normalising bilateral relations. President Bush lifted trade restrictions imposed on Vietnam under the so-called "Jackson-Vanik" amendment since 1974. “The US welcomes Vietnam's progress in enacting free-market reforms, and looks forward to Vietnam becoming the 150th member of the World Trade Organisation (WTO) on January 11,” said White House spokesman Scott Stanzel. President George W. Bush today signed into law a bill that includes establishing permanent normal trade relations (PNTR) with Vietnam. The PNTR provisions were part of a larger bill that dealt with taxes, health and other domestic social provisions that the Republican-controlled Congress passed during the final minutes of its session this month. Vietnamese Ambassador Nguyen Tam Chien was present at the signing. 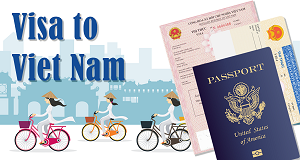 National flag carrier Vietnam Airlines will seek government approval for a first-ever direct flight to the US in the next few weeks, after PM Nguyen Tan Dung called for opening the route by 2007. Airline vice director Pham Ngoc Minh said the route would bear “great social and political significance”. Former US President Bill Clinton arrived in Hanoi Tuesday on a two-day visit to Vietnam as chairman of the Clinton Foundation’s HIV/AIDS Initiative. Welcoming Clinton at the airport were senior officials from the health and foreign affairs ministries and the US embassy. On Wednesday Clinton and his delegation will have meetings with Vietnamese agencies, discussing distribution of drugs to children with HIV/AIDS under the initiative. He will also speak to Vietnamese students about HIV/AIDS prevention and treatment. The US-Vietnam WTO Coalition has asked the US Congress to approve Permanent Normal Trade Relations (PNTR) status for Vietnam. In the December 1 letter to the leaders of the US Senate and the House of Representatives, the coalition said its members urged that PNTR for Vietnam be approved before the adjournment of the 109th Congress.